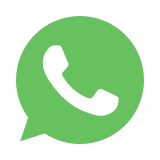 ● Distance: Top of Rajgad go to Top of Torna, Approx Distance 10km. 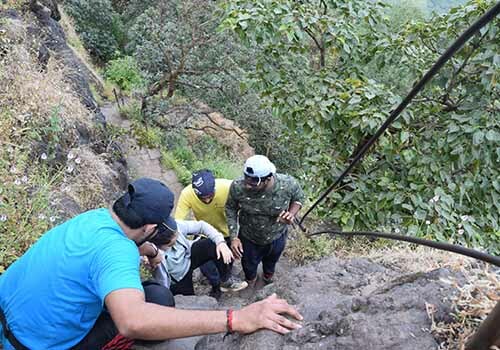 Rajgad to Torna Trek is one of the most beautiful treks in the Sahyadri Range. 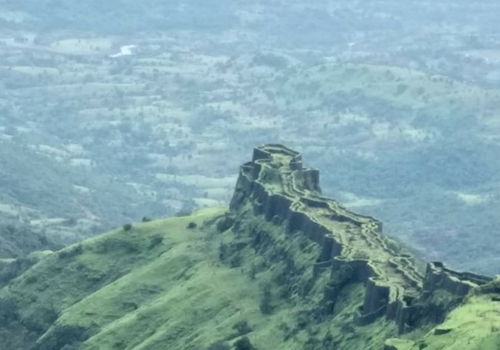 Rajgad is in Bhor Taluka of Pune District. 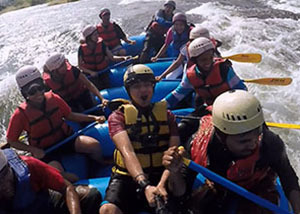 The base village of Rajgad is Gunjavne which is 205 kms and 60 kms away from Mumbai & Pune respectively. 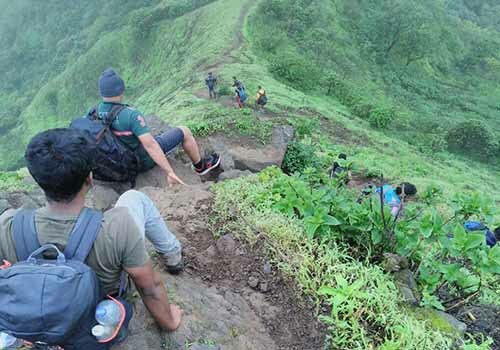 The trek to Rajgad is easy from the base village. 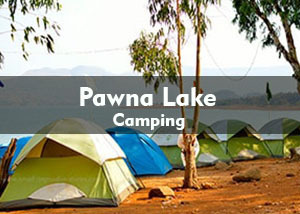 Occasional steep climbs and picturesque surroundings makes it a paradise for nature lovers and photographers. 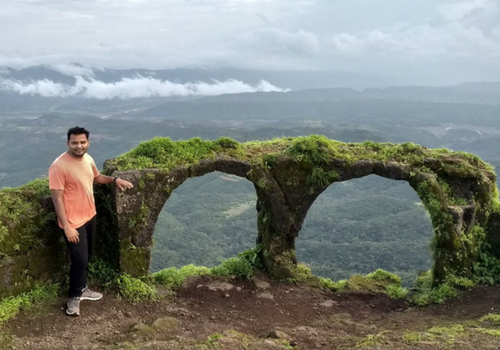 The trek to Torna from Rajgad is through ridges of around 7 hills offering windy experience throughout the trek. It also provides the views of the deep valleys which may be unnerving. 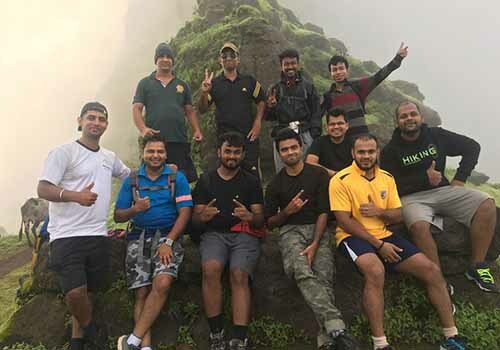 The total distance from Rajgad to Torna is around 12 kms which takes around 6 – 8 hours of trekking. Thus, the Endurance required for this trek is high. 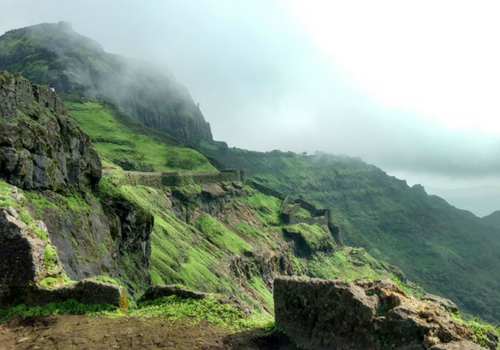 Rajgad was and will be well known as the Capital of Maratha Empire before Raigad came into existence. 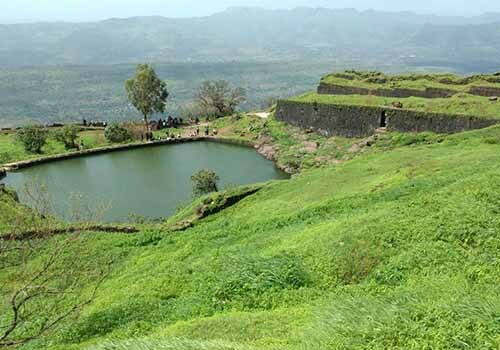 Torna is also famous as it was the first fort the Great Shivaji Maharaj conquered. Thus, visiting these 2 forts is also of Historic Importance. Meet at Dadar Railway Station (East) near Pritam Hotel at 5:30 am. 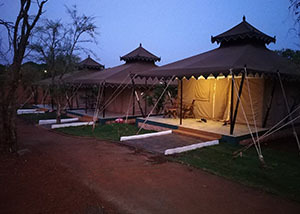 We will depart in our transfer vehicle to Gunjavne Village which is the base village of Rajgad Fort. Meet us at 9 am at Hinjewadi Bridge (Bhujbal Chowk) as we will proceed to the base village of Rajgad Fort. We will reach Gunjavne Village around 11:30 am. 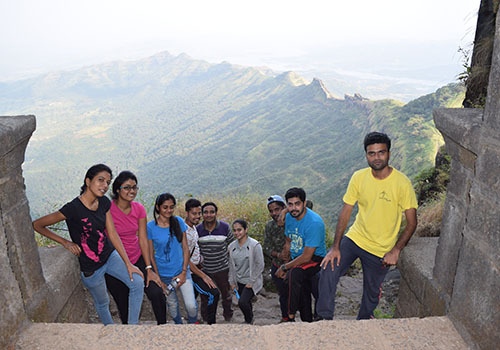 After freshening and a fun introduction round, we will start the trek to Rajgad fort. We will reach Rajgad Fort around 2:30 pm. Relax at Padmavati Temple. Freshen up and enjoy the feast of Delicious Lunch at Padmavati Temple. Around 3:30 pm we will proceed to Bale Killa and take darshan of the Samadhi of Soyra Bai, First wife of Shri Shivaji Maharaj. Head back to Padmavati Temple around 5:30 pm. 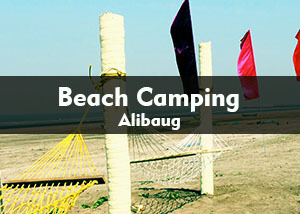 Relax for a while and enjoy the fun games of Antakshari, Dumb Charades and Mis- Match. Around 8:30 pm we will fill our stomach with delicious dinner. Sleep early as we will have a big day tomorrow. Wake up around 5 am. 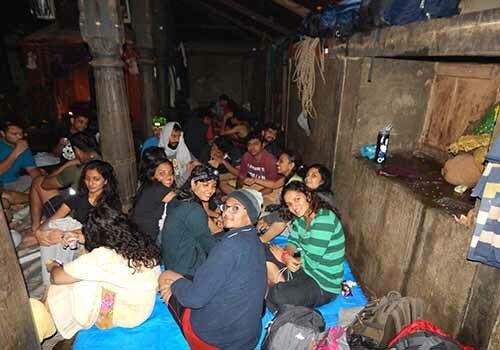 Freshen up and head to Torna Fort around 6 am through Sanjivani Machi. Around 7:30 am, we will take a break to enjoy the packed breakfast. Eat sufficiently but not in excess as it may cause trouble while trekking. After trekking for a while and walking on the ridges of the hills, we will reach Torna Fort through Bhagat Darwaza around 1 pm. Relax for a while, applaud for the effort you put in to reach here. Revitalize your body and mind by enjoying the lunch of freshly cooked vegetarian dishes. We will start the descend around 2:30 pm. ● At least 3 litres of drinking water.